November 28, 2011 I am waiting at Babbo’s to leave for the flight back to Florida. I pick up the book given to him for his birthday just a few months ago on the sinking of the Nova Scotia and the first line reads: “28 Novembre 1942 una tragedia a mare”. 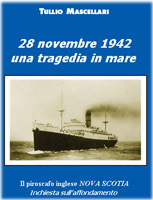 I began to read….the story of my grandfathers death at sea exactly 69 years later!!! I became interested in finding out more and what follows is my research on this tragedy and my tribute to him as I try to think and feel what he must have gone through… God Bless Him!! Nova Scotia – by Allan Jackson – South Africa’s worst sea disaster was the sinking of the Nova Scotia, about 48km off Cape St Lucia by a U-Boat, on 28 November 1942. She was a small liner [of 6796 tons] belonging to the Furness Withy Group and had been converted into a troop carrier. She was a frequent visitor to Durban, being employed mainly in ferrying troops from Durban up the East Coast of Africa to Suez, and bringing Italian prisoners of war back to South Africa. She had sailed on 15 November from Massawa, in Italian East Africa, and had 765 Italian POWs, 134 British and South African guards, and 118 crew aboard when torpedoed by U-Boat 177. The U-Boat’s commander was Kapitanleutnant Robert Gysae, who apparently spotted smoke from the Nova Scotia at 6:12am on 28 November. The U-Boat submerged at 8:31am and, at 9:15am, fired three torpedoes at a distance of 380 metres, sinking the Nova Scotia within seven minutes. One lifeboat was launched successfully, leaving the rest of the survivors clinging to rafts or bits of wreckage in the oily and shark-infested water. The U-Boat surfaced to find out which ship she had sunk, but the commander noted that he couldn’t get an answer because the survivors were all screaming and shouting at once. The crew were apparently appalled at the scenes they saw in the water [see U-Boats & a Settler, below], but they took only two survivors aboard for intelligence purposes, having been ordered not to assist the rest. The order dated from the Laconia incident the month before [see HMS Cornwall, above], but German U-Boat Command did notify the Portuguese authorities of the sinking of the Nova Scotia. The ship Alfonso de Albuquerque reached the scene from Lourenco Marques the next day, and managed to rescue 190 survivors. One more was picked up by a destroyer on the third day and another fortunate Italian floated ashore on a raft at Mtunzini, on the Zululand coast, a fortnight after the sinking. The only woman survivor was Alda Ignisti [later Lady Taylor], who was on her way to Durban with her daughter Valcheria, after having been stranded in Eritrea by the death of her husband Gastone Ignisti. A British army officer by the name of Robert Taylor arranged passage for her on the Nova Scotia to Durban because he feared for their safety. She later recalled the utter confusion aboard the Nova Scotia after the torpedoes struck, and said a British Officer had taken Valcheria and jumped into the sea with her, just before she herself jumped. After swimming for a long time to escape the suction caused by the sinking ship, she was able to look around and saw in the distance Valcheria in her red jersey sitting on a lifeboat which drifted out of sight, never to be seen again. 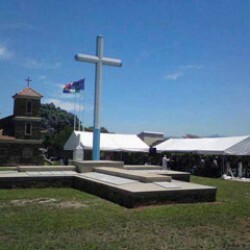 A number of victims of the sinking were washed ashore on KZN’s beaches and the remains of 120, who were Italian POWs, were laid to rest in a common grave in what later became the Italian Military Cemetery at Hillary, outside Durban. Three crosses originally marked the grave, but in 1982, using a donation from Nova Scotia survivors then still living in Mocambique, a circular tomb topped by a broken stele rising from the waves was erected. On it is inscribed: “To the memory of the Sons of Italy who were overcome by the ocean in the sinking of the S/S ‘Nova Scotia’ XXVIII-XI-MCMXLII The survivors sheltered in Mocambique”. Wolfpacks at War [see sources page] quotes some extracts from the log of the Alfonso de Albuquerque, which picked up the survivors of the Nova Scotia. 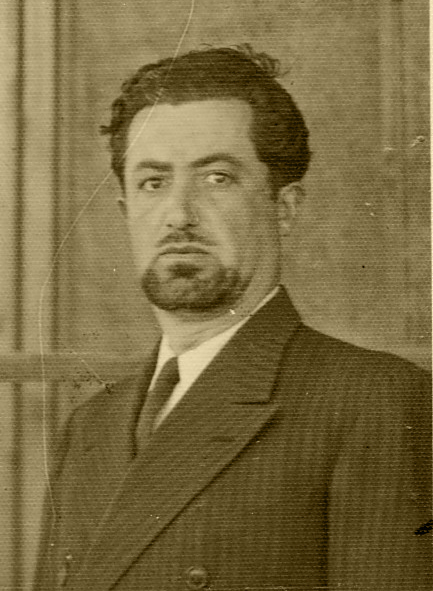 The ship was sent to the rescue by the authorities in Lourenco Marques who had been notified of the sinking by U-Boat Command. • On the day Nova Scotia was sunk, 28 November 1942, the log records that, at 22h45, the Alfonso de Albuquerque sighted a British warship and gave them the position where the tradgedy had occurred. The warship showed no interest and went on its way. • On 29 November, survivors were picked up including a number after nightfall. Five people were rescued when they managed to fire off a red distress flare which was seen from the Alfonso de Albuquerque. • On 30 November, at 05h45, the log records that the vessel was steaming through hundreds of dead bodies floating on the sea. It also notes that men had been found fighting for space on liferafts and that the hatred between survivors of different nationalities was strong and that only one raft was found which had people of differing nationalities aboard it. The log says that it was even necessary to separate the different nationalities once they were aboard the Alfonso de Albuquerque. The writer estimated that a quarter of those who survived the initial sinking of the Nova Scotia were killed by sharks. There is very little in print about the Nova Scotia. The best source I found was a chapter in Ian Uys’s book Survivors of Africa’s Oceans. 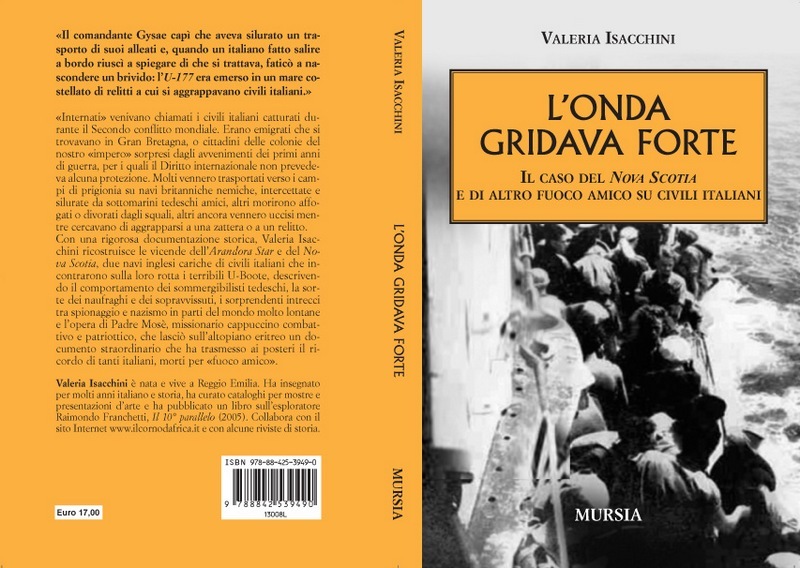 Some years ago, I sent Tullio Mascellari what information I had on the tragedy and in May 2008, I received word from him that he had published a book on the subject; so far only available in Italian. 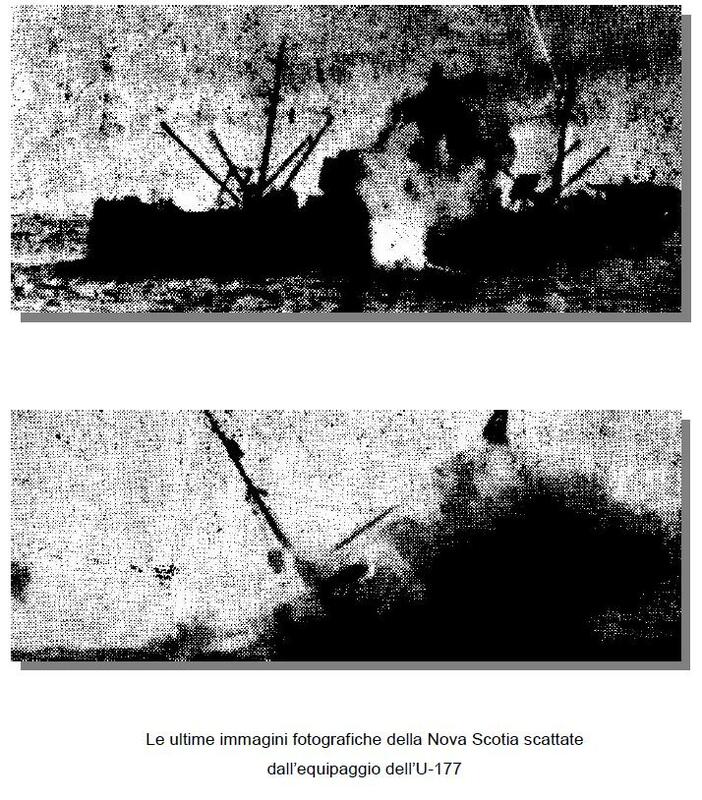 More details on his website – Tullio writes about his book: “I am the writer of the book concerning the Nova Scotia disaster, which happened on November 28th, 1942 in the Indian Ocean. I am an Italian citizen born in Eritrea during the italian colonization. I returned to Italy in 1949. “In October 2004, I visited Eritrea, as a tourist, after a long time. In a small church at Adi Quala I saw a gravestone containing the names of 652 italian prisoners of war who died during the sinking of the Nova Scotia. This sight affected me so deeply that I decided to make an investigation on this happening, in order to write a book. • http://libreriarizzoli.corriere.it/ – http://www.libreriauniversitaria.it/ – http://www.webster.it/ – http://www.booxshop.it/ – I’ve dropped strong hints that an English version of the book is needed urgently. We’ll have to see. As mentioned in various places on the site, I refer to Hermann Kolditz who was apparently a crewman on the U-Boat which sank the Nova Scotia. In the 3rd printed edition of Facts About Durban, I wrote: A German U-Boat officer, who claimed to have caught his first sight of Durban through the periscope of his U-Boat during World War II**, ended up settling here. My informant, Doug Thomas, worked with Hermann Kolditz at Unilever in Durban, where the former U-Boat officer was in charge of dried soup production. Doug told me Hermann had been a member of the crew of U-177, which had been responsible for sinking a number of vessels, including the Nova Scotia just 120 miles off Durban. Hermann was extremely lucky to survive the war, given the heavy losses suffered by the U-Boats in its latter stages. He settled in Durban, but took his own life on 19 January 1967, after attending a retirement party at which Doug Thomas was also present. Doug told me there had been no warning signs and I can only speculate that the traumatic experiences of the war might have played a role. Doug Thomas said Hermann Kolditz had told him that the U-Boat had surfaced among the survivors to find out which ship they had sunk. Kolditz recalled that the German crew had been appalled by scenes in the water as the survivors tried to scramble aboard the U-Boat to escape sharks in the water. He said that the U-Boat had been unable to stop to offer assistance and I initially surmised that this must have been because of the fear of discovery by allied forces and particularly, by the flying boats operating from nearby Lake St Lucia. I later found that the Laconia incident, above, had played its part. The last resting place of Hermann Kolditz is in the German Cemetery in New Germany, just outside Durban, and is marked by a stark black stone carrying his name and the dates of his birth and death; Hermann Kolditz, 19.7.1919 – 19.1.1967. The stone carries no epitaph and it was left to Doug, who accompanied me to the grave, to supply one: “Hermann the German was a real gentleman,” said Doug. ** There is apparently no official record of a U-Boat ever having come close enough to Durban to view it through a periscope but I have heard of another source who, while visiting a German university after WWII, met an ex U-boat crewman who showed him photographs of Durban he claimed had been taken through a U-boat periscope. Download a copy of a short PDF of Pieter Snyman who served in the SADF during WWII and was a survivor of the Nova Scotia. There is much of interest apart from the Nova Scotia episode. decided to entertain his friends by diving from the second deck of their ship into the water below. It was when he was repeating the feat and reaching for the dangling rope at the side of the ship that he caught sight of a large shark ready to strike out at him. He grasped at the rope and tore himself away from its jaws. He decided not to dive again that day. But his skirmishes with sharks were far from over. waiting under the surface, barely 300 meters away. Its commander, Kapitänleutnant Robert Gysae, was watching the approaching ship. Durban was about 250 km away, and the Portuguese harbour city of Lourenço Marques (Mozambique) only 80 km. The Nova Scotia was heading for the jaws of death. fire. Hundred of Italians were pushing against the hand-rails, afraid to jump, but at the same time blocking the way. Agitated victims ran across the deck, their scalded bodies in shock. The engines had ceased and tons of water were streaming into the vessel Most of the life boats were in tatters. Others fell into the sea and disappeared. Pieter summed up the situation: his only hope was a safety-jacket before trying to escape. He clambered up the side of the ship and found one. Wearing only a pair of khaki shorts and the jacket he dived from the upper deck into the restless Indian Ocean. He swam under water until his strength almost failed, and surfaced in dark, sticky oil. He found a raft constructed of wood and oil drums. By now the ship was going under fast. Only a part of the deck, teeming with people, was visible. No-one clutching to the sinking vessel could be saved any more. In the hold of the ship people were fighting the water, attempting to find a way out. Those on deck stood frozen. They had obviously accepted the inevitable. “And then, as if it had been waiting for a sign, the sea uttered a hideous soughing sound, and when the gigantic hole in the ocean closed, large waves enveloped the struggling swimmers. Then silence. The last photographs of the RMS Nova Scotia. taken by the crew of the U-177. Pieter: “Before me was a cruel scene of human anguish. We were surrounded by the mighty ocean, its gluttonous billows battering defenceless human specks. Around us were scattered pieces of wood, doors and rafts. Fearful faces were bobbing in the waves, watching for something to hold on to. One by one they disappeared from sight. Pieter found a long rope on the raft and hurled its end towards a group of struggling swimmers. Some were already too weak to make use of the opportunity. Once more Pieter dived into the water and started bringing men to the raft. By the time there were two South Africans and fifteen Italians on board, he was exhausted. He nevertheless grabbed an oar and without further ado declared himself captain of the vessel! The raft was unexpectedly pushed off the hull of the U-177 which was surfacing, endeavouring to ascertain which ship had been torpedoed. There was no attack, but two Italians (German allies) were taken aboard before the submarine hastily disappeared under the waves. Loneliness once more. Men were still drowning at regular intervals. The raft had too many men aboard and everyone was partially submerged. Any one new arrival would lead to everybody’s death. Some men were clutching to the sides of the raft. Others gave up quickly, throwing up their hands as if in final prayer before they sank. Death in another form was also looming ominously. A lonely swimmer suddenly yelled wildly as he was pulled down. Bloody bubbles immediately surfaced. Sharks! The Two South Africans had been fearing this. “In the history of the Indian Ocean there has never again been a shark attack like this one. It was as if a shoal of man-eaters had appeared from nowhere. The appearance of the sea was gradually getting more violent, and mammoth waves were booming over the seventeen men. Night came without sleep. Cutting winds lashed out and rollers crashed unceasingly. Every now and then the wretched men changed positions. Those on the outside moved to the centre, and then back. Ever so often a fivemeter shark threateningly swam near the raft. Day came, and with it a sense of hope. But the surrounding ocean had nothing encouraging to offer. Most of the wreckage was not visible any more. Some of the nearby rafts had no men on them. And the sharks were still circling. On the second day a rash decision was made. Cork jackets were removed and torn apart to be fashioned into a rough sail. At least the wind would steer them in some direction. In the course of the second night weary eyes searched the sea for some sign of light. One was indeed spotted, about fifteen to twenty kilometres away. When it disappeared it seemed as if all hope followed suit. Fighting a visible enemy is difficult enough, but this was an anxious gamble with some invisible power. Emotions ran high. Seventeen desperate men without water or food. Some men started hallucinating on account of unbearable hardship. Some babbled incoherently, others started cursing. Yet others lapsed into a coma. No wonder – their tongues were swollen, their lips cracked, their eyes pools of blood due to the oil and weather conditions. On day three most of them had surrendered to the reality of death. Pieter was holding out and asked a redhead Italian who was still in his right mind to grab his legs and lift him up. For a world of lost sinners were slain. The cross became clearer. The radio masts of a ship! Then, like an angel of mercy, a large vessel rocked to a standstill and ropes were thrown at them. When the crew realised that they were surrounded by sharks, a life-boat was lowered. On board they sank to the floor and was given hot coffee to drink and blankets to wrap themselves in. But the world had suddenly become a revolving disk. Sleep that everybody had been dreaming of, was gone. Soon afterwards death started taking its toll. Captain Jose Augusto Guereiro de Brito gave quick orders, and the Alfonso de Albuquerque started on its way to Lourenço Marques. Of the 1266 passengers on the Nova Scotia only 192 would arrive alive in LM. One hundred and twenty dead bodies were washed out on beaches in Durban, and these were removed early in the morning to prevent unnecessary panic. Jose Augusto Guereiro de Brito and his ship Alfonso de Albuquerque” The South Africans received a great welcome in LM, but they quickly realised that they were sure to be interned. During a party arranged for them by the South African Consul, they were secretly informed that they would have to look after themselves from that moment on. Pieter and a friend lost no time, found two bicycles somewhere, which they rode barefoot because their feet were still badly swollen. At the railway station they were scared away by officials and eventually slept fitfully in a hut about 15 km outside LM. They started walking at daybreak, their destination the border sixty km away. Harry S. Metcalfe, RIP – Reader Derek recently visited Christ Church (an Anglican church) in Mayfair, Johannesburg, and found a plaque commemorating Harry Metcalfe who died after the torpedoing of the Nova Scotia. The plaque records the fact that Harry had been third engineer on the vessel and that his parents had placed a tabernacle and sanctuary lamp in the church in his memory. When Kapitanleutnant Robert Gysae of U-177 first saw the Nova Scotia on the horizon about 48km off St Lucia on November 28, 1942 he had no idea the steamship was transporting 765 Italian prisoners of war from North Africa to Durban. Now read, “Diving our coast”. When he sent three torpedoes into the British ship it took less than 10 minutes to go down, leaving hundreds of survivors clinging to bits of wreckage or the sides of the few already overloaded lifeboats and rafts. Apart from the Italian POWs, there were 134 British and South African servicemen, 118 crew and a handful of women and children who’d been heading for the relative safety of South Africa. This was not as heartless as it sounds – just two months earlier U-156 sank RMS Laconia, also full of Italian prisoners, off the west coast of Africa. The captain of that submarine took four lifeboats in tow and dozens of survivors on his submarine’s deck, after calling for a temporary cessation of hostilities while the rescue went on, only to be bombed by an American aircraft as he headed for a rendezvous with rescue ships two days later. The submarine was forced to crash dive, and hundreds died. Fewer than 200 people survived the sinking and the subsequent shark attacks, and 120 corpses later washed up on Durban’s beaches. The Italian dead were buried in Hillary cemetery, and then re-interred in the Italian POW church in Pietermaritzburg in 2008. Alda Ignisti – South African born Alda Lorenzino came from an Italian family and married an Italian, Gastone Ignisti, at 18. They moved to East Africa, where Gastone died just days before the war broke out. Trapped in Eritrea, 28-year-old Alda worked for the British forces as an interpreter, and fell in love with British officer Robert Taylor, who in late 1942 arranged for her and her daughter Valcheria to be shipped back to the safety of Durban on the Nova Scotia. Alda – the only woman to survive the sinking – allowed a British officer to jump into the sea with her daughter and place her in a lifeboat before she herself abandoned the burning ship. “I swam for what seemed like hours,” she later told an interviewer. “In the distance I could see a lifeboat with a little red blob on it. Valcheria was wearing a red jersey and was plain to see.” Despite her best efforts Alda failed to reach the lifeboat that eventually disappeared from sight forever. Alda survived, later marrying Captain Taylor, and became Lady Taylor when her husband was knighted in 1962. William and Bob Richards – While researching the sinking of the Nova Scotia I found this sad story of my great uncle, Corporal William Richards, who died in the sinking. His son, Bob, recently wrote an article for Port Elizabeth’s Weekend Post describing how as a nine-year-old he had been excitedly awaiting the arrival of his father from North Africa in November 1942. “Mom had bought a soldier’s uniform for me to wear when we met dad at the railway station,” he remembered. The first message, reading “Cpl William Charles Richards missing at sea,” was followed a few days later by another announcing: “Corporal William Charles Richards believed drowned.” William’s body was never found. The Mystery of Hermann Kolditz – Hermann Kolditz settled in Durban after the war, and told workmates he was a crewmember of U-177 when she sank the Nova Scotia. He described how the sight of survivors trying to scramble on to the submarine to escape the sharks had appalled him and his crewmates. In 1967 Kolditz committed suicide, and is buried in the German cemetery in New Germany. According to crew lists on ubootwaffe.net, however, Kolditz was a crewman on U-372 that was sunk earlier in 1942, and was a prisoner of war in the USA when the Nova Scotia went down. Can any of our readers shed any light on this? * Thanks to Facts About Durban / Allan Jackson and Paul Kirk for help with research. A similar story of another ship “The Arandora Star” was torpedoed off Ireland while taking Italian and German prisoners to Canada in July 1940. Of the 1600 men aboard, half were lost. Untold for 68 years, this is the story of the ship’s sad legacy to Ireland.